You trust a nursing home or assisted living center to care for your loved one, but now you suspect them of abuse or negligence. Unfortunately, abuse to our seniors is a common occurrence in the United States, and especially in nursing home facilities. In fact, every year 1 out of 4 facilities is found guilty of negligence in a death or serious injury to their resident. Nursing home abuse happens in numerous forms – from physical assault to neglect. Senior citizens are more vulnerable to abuse, especially those who are suffering from disabilities or dementia. No matter the form, nursing home abuse is illegal and not only should be stopped, but you and your loved one should be compensated. At Amaya & Associates Attorneys at Law, we have years of experience helping people whose family members suffered from nursing home abuse or negligence. If you suspect abuse, meet with our nursing home abuse attorneys and let us help you decide if there is a case. We won’t just seek compensation, we will also ensure that justice handles the nursing home and any responsible parties. Nursing home abuse is a growing trend, but by being proactive in your loved one’s care and reporting it early, you can prevent others from suffering as your loved one has. Meet with the attorneys at Amaya & Associates today by dialing for a FREE CONSULTATION. 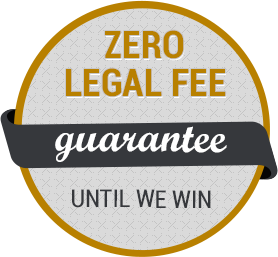 All of our consultations are free, and you don’t have to pay us unless we win your case. Your information is kept confidential here at our office whether you hire us or not.